We live in Hammond, LA, which means our winters are very mild and our heaters see intermittent use at best. This actually makes an ideal time to look at problems that may be affecting your HVAC system’s efficiency, including breaches or breaks in your ducts. The duct work in your home exists to spread conditioned air from your system into your various rooms, nooks and crannies. When a breach opens up – due to damage in your ducts or perhaps the fittings between two sections of ductwork becoming loose – it can cause a great deal of trouble for your heating and air. Beware of breaches in your ductwork and be ready to get the issue addressed as quickly as possible. Why Is Professional Duct Sealing Important? Ducts are one of several parts of your home’s infrastructure that you probably never think about. They’re largely invisible, serve a fairly simple purpose with no moving parts to malfunction, and are just generally unobtrusive. It may come as a shock, then, when we tell you that ducts are actually responsible for some of the biggest wastes of energy and money regarding your heating system. 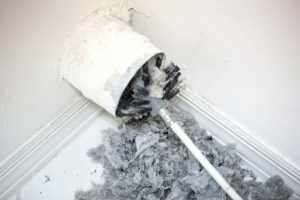 Let’s dive into the evidence supporting this claim, and why you should employ professional duct cleaning to solve for it. The US Department of Energy estimates that forced air systems lose between 20 and 30% of their heat on average to duct leaks. That means that almost a third of the energy that your heating system spends on heating goes completely wasted. You’re still paying for that energy, however, which means that your heating bill is often substantially higher than it should be. This is the primary reason for professional duct sealing. A lot of these leaks are not noticeable without close inspection, which drastically lowers the chances of a homeowner spotting and sealing one on his or her own. 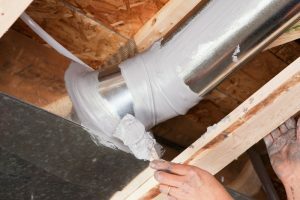 In addition to wasting a great deal of money, duct leaks hinder the ability of your heating system to evenly distribute heat throughout the house. This creates uncomfortable cold spots in your home, some encompassing multiple rooms, depending on the size of the leak. Professional duct sealing can return equilibrium to your heating system, ensuring that you are comfortable and warm no matter where you are in your home. The dark ductwork in your home can be a prime habitat for all sorts of harmful organisms. Viruses, bacteria, and mold are among the most common contaminants found in a home’s ducts. Many of these organisms are prevented from gaining a foothold in your ducts by a lack of easy entry. It only takes a small duct leak, however, for these contaminants to begin thriving and multiplying. They can then be circulated throughout your house by your forced air system. Professional duct sealing makes it harder for contaminants to enter your ducts, making it a good way to improve your air quality. If you haven’t had your ducts sealed in a while, call A–Professional Heating and Air Conditioning. Our heating professionals cover the entire Covington area. Posted in Indoor Air Quality | Comments Off on Why Is Professional Duct Sealing Important?